A personal trainer and nutritionist on your phone: Mammoth Hunters is the app for personalized functional and bodyweight training with video guides, nutritional guidance and recipes. Unbreakable is one of Mammoth Hunters' specialized training programs. Results. Get strong, get Unbreakable. 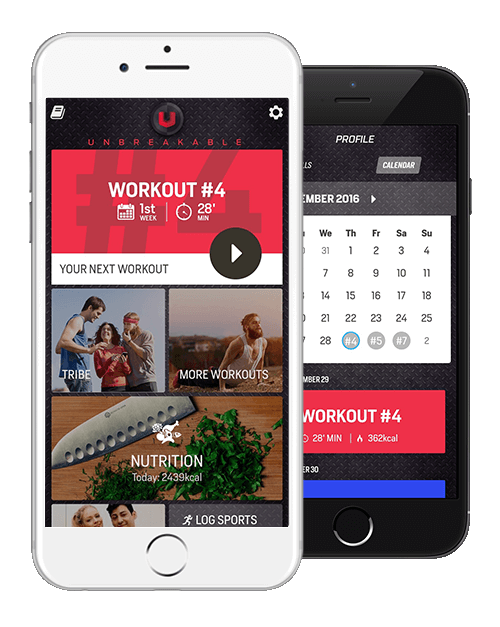 Designed by experienced Trainer Marcos Vázquez of famed Fitness Revolucionario, Unbreakable takes your training to the next level, step by step. It stays challenging as you get stronger. Surpass your goals!